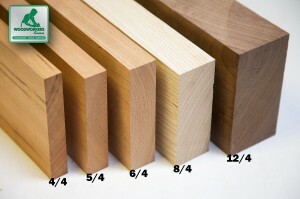 Lumber is separated for color and sold as white (without black streaks) or black (with black streaks). 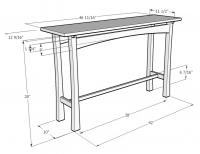 The wood is relatively soft and easy to work. Medium coarse texture. Open pores require filling for a smooth surface. Pale yellow to light brown with black streaks. Reaches 150 feet at maturity with trunk diameter up to 96". Boles are straight and clear to about 90 feet. Musical instruments, furniture, cabinets, interiors. 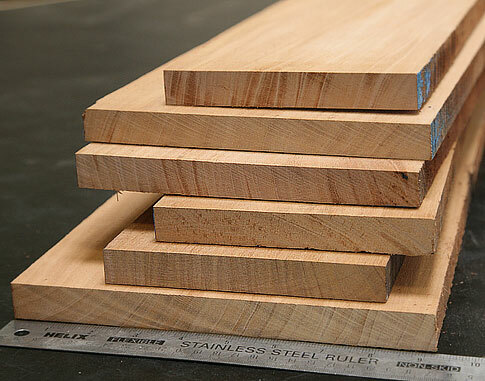 Black Limba Furniture Squares: 1-3/4" x 1-3/4" x 30"